We've never meet Buzz Strong, but he's our hero. He toils night and day baking the only cookie we'd consume in massive quantities. 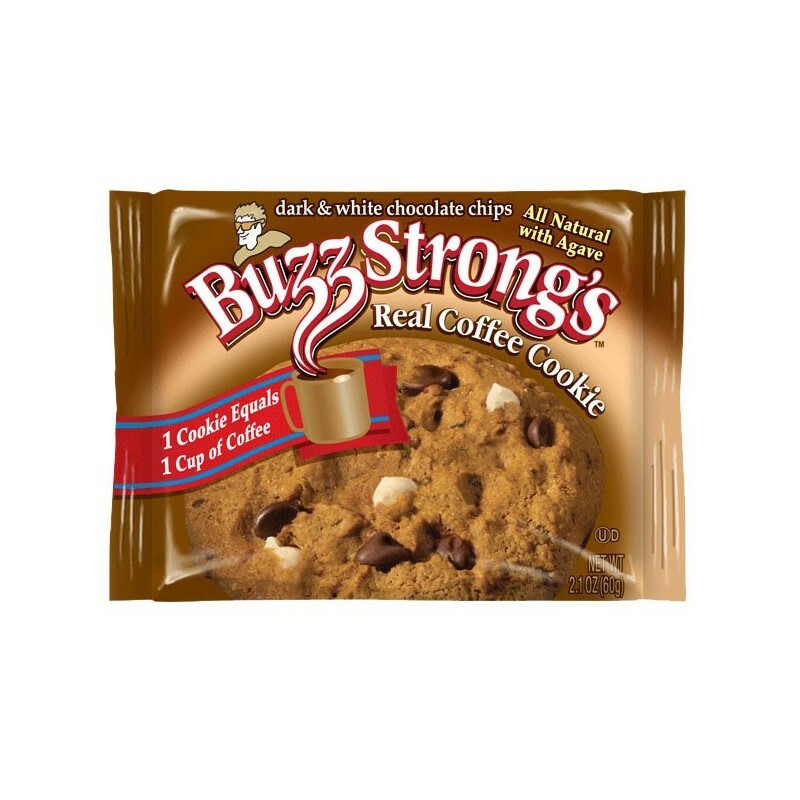 What's so special about Buzz Strong's cookies? Well, he has given his cookies the power of caffeine. The individually wrapped cookies are large, and each individually wrapped cookie has as much caffeine as a whole cup of coffee. 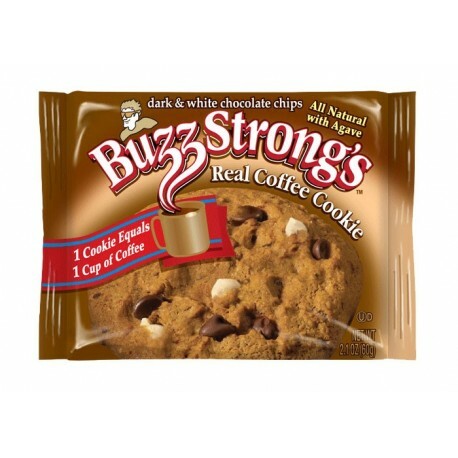 These gourmet cookies contain no hydrogenated oil or trans fat, only the goodness of dark and white chocolate chips with carefully selected coffee. Interesting concept. I got some of these cookies some weeks ago, and only find occasional use for them. Buzzed by a cookie?! However -- aside from a pretty sizable calorie load -- they taste pretty good and do the job. Best use: After lunch or dinner with friends, who find the concept intriguing. BECOME A REAL COOKIE MONSTER !